“Meditation can significantly benefit all brains.” That’s according to Shannon Odell, the resident neuroscientist at Inverse. Attorneys’ days are predominantly populated with intellectual tasks that require sustained levels of focus. But distractions abound. When that need for prolonged, focused mental tasks - like legal writing, legal research, or document review - is bombarded with the uncountably many attention-grabbers that are commonplace, the attorney’s brain suffers added stress. While it is overlooked in law school, attorneys confront emotional challenges as much as they do legal ones. Over the length of a legal matter - which can span several years - attorneys become invested emotionally in the success of their clients and the outcomes of their cases. When difficulties arise or when cases fail, attorneys can find themselves emotionally bankrupt. Mediation, however, can improve counsel’s control of activity in his or her amygdala, which controls how a person responds to potentially threatening situations, and thus can help an attorney temper the intensity of emotions. 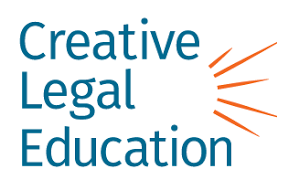 So, “if you’re finding it hard to remain focused,” Odell counsels, “maybe it’s time for you to take up meditation.” Check out Creative’s popular course “Get Wise: Mindfulness for Attorneys,” and earn MCLE credits today.